After 5 long years of ceasefire, the DUNKELWERK U-boat surfaces again on the horizon for another Endzeit Elektro assault. During the last years we have seen other Endzeit fortresses collapse and vanish from the Earth like :WUMPSCUT: and THE RETROSIC. 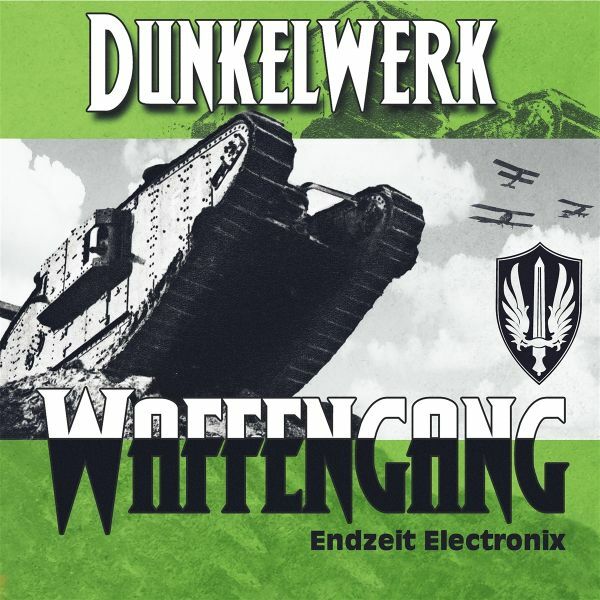 Anno 2019, the one-man army of DUNKELWERK stands up strong and is determined to defend the dark flagship of the good old German endzeit electro genre.With his 4th studio album "Waffengang", Losttrooper gives pure evidence that Endzeit is still alive and kicking! The electrobeats are solid and heavy, the soundscapes are noir and dusty, the synth melodies are vicious and intoxicating, the vocals are strict, massive, and brilliantly merge with the recurrent and oppressive speech-samples from the wartimes.